Once Dr. More or Dr. Forsyth have made your treatment plan, they will review it with you. The treatment plan includes a financial estimate of the costs. There may be variables or surprises in a dental process which we do our best to determine before starting treatment. As a result, the costs and time of treatment may vary. We will then offer you a revised plan and financial estimate. 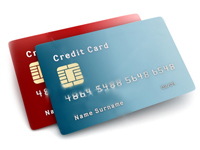 We accept cash, debit, VISA, or Mastercard as payment, which is expected at the time of treatment. For large procedures we can establish payment plans which may be arranged with our office manager, Caryn. We accept most insurance plans and the business staff will assist you in understanding your benefits. However, any and all amounts not covered by your insurance plans are ultimately your responsibility.